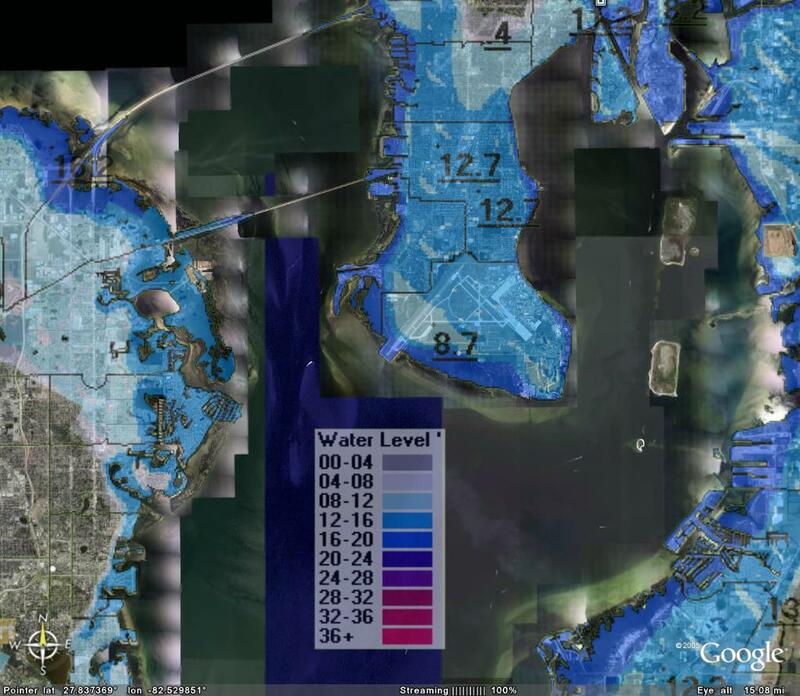 HURRTRAK supports the ability to display just about any graphic image on Google Earth. 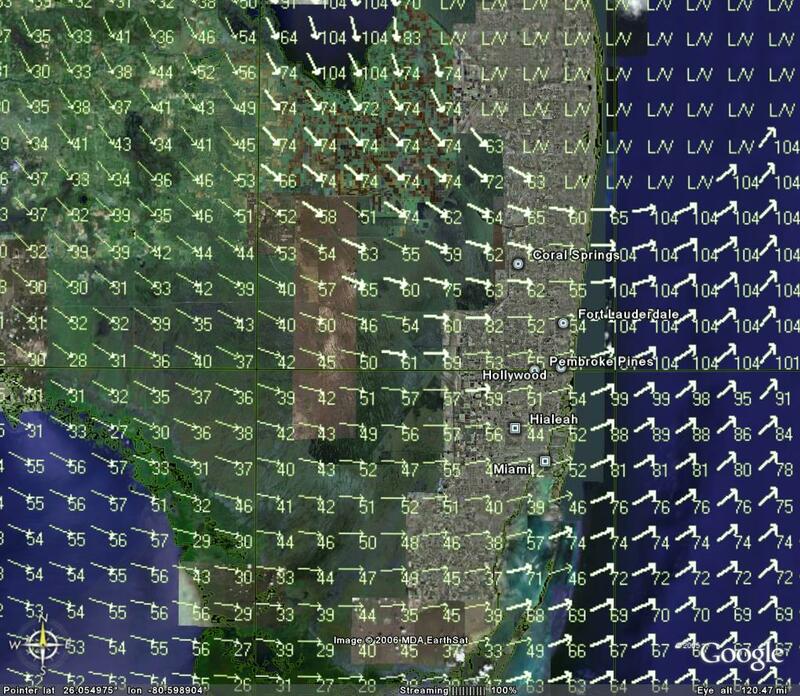 This has the added benefit of viewing the data on Google Earth's unique earth view interface. The following examples show some of the HURRTRAK images being displayed on Google Earth. Google Earth is a free application available at http://earth.google.com/ . 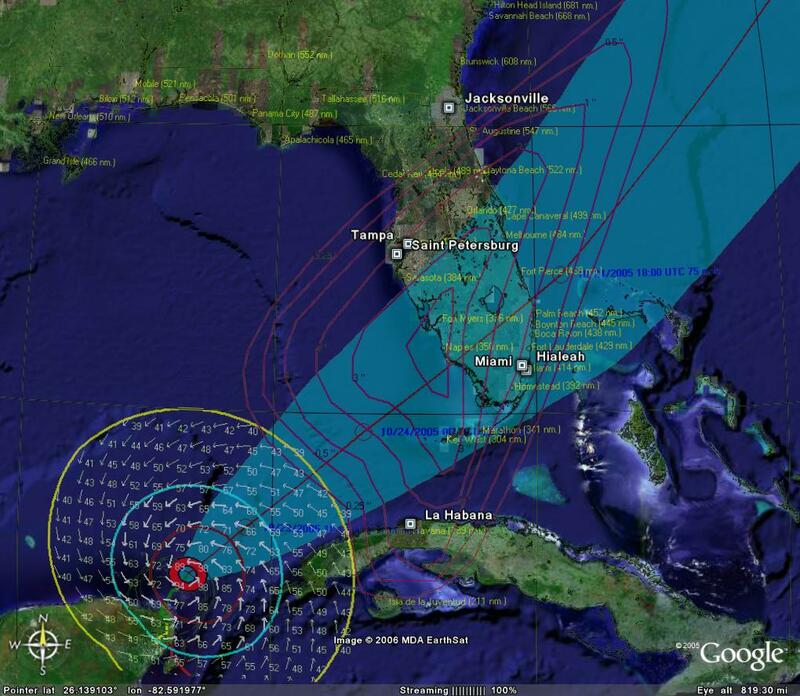 Wilma position with forecast track and forecast rainfall. 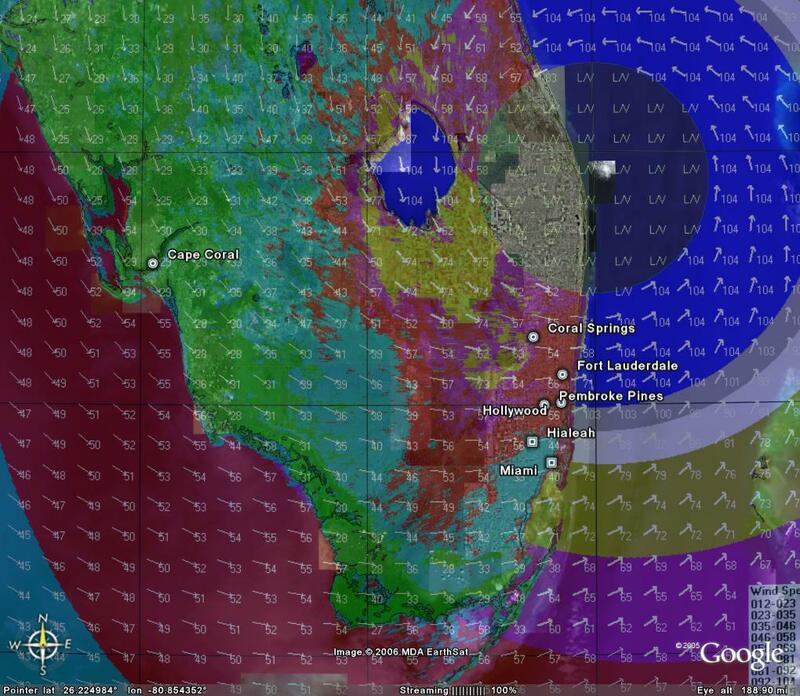 New Wind Pattern function for Wilma near SE Florida Coast.